Samsung phones and tablets, like the Samsung Galaxy S5 and Samsung Note 3 are worthy alternatives to iPhone, because it offers more rights for you to control your phone than Apple does. However, making the switching from iPhone to Samsung is a complete and lengthy process, due to their different platforms. Take it easy. Here're two easy methods. Transfer contacts from iPhone to Samsung Note 3/S6/S5/S3/S4/S2, etc. Move contacts in Google, Hotmail, Yahoo!, from iPhone to Samsung. 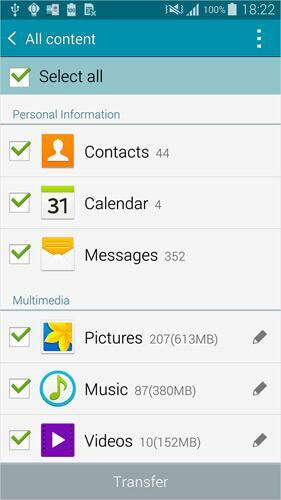 Copy music, video, photos, calendar and text messages from iPhone to Samsung. 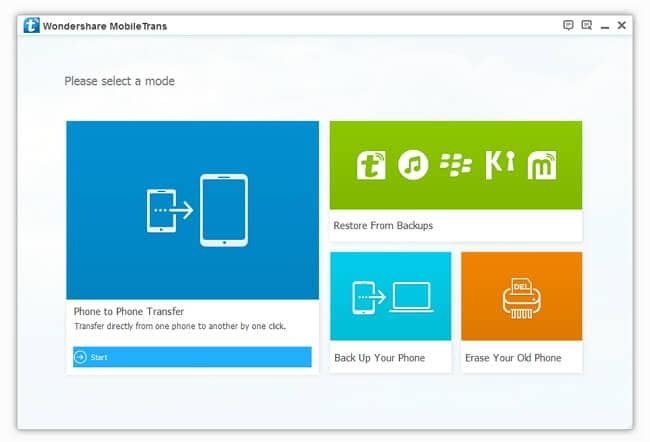 Backup iPhone to PC and restore to Samsung phone effortlessly. Work perfectly with Samsung Galaxy S6, S5, S4, S3, Note 4, Note 3, iPhone 6, iPhone 6 Plus, iPhone 5s, iPhone 5c, iPhone 5, and more. Complete data transfer at a fast speed. Download and install Wondershare MobileTrans on your computer. Run it and connect your Samsung device and iPhone with your computer via two USB cables. After then, choose "Phone to Phone Transfer" from the primary window of the program. When the program detects both of your devices, make sure that your Samsung device is the destination one and your iPhone is the source one. You can use "Flip" to set it right. Then select the file type that you want to transfer from your iPhone to the Samsung device. When everything is ready, click "Start Copy". The data transfer begins. You only need to wait until the whole process is complete. Samsung Smart Switch™ is a freeware, produced by Samsung company. It's used for copying files from an iPhone via iCloud/iTunes backup backup to your Samsunug Galaxy phone seamlessly. Step 1. On your iPhone, go to Settings > iCloud and backup your iPhone to iCloud. Step 2. Go to Google Play and download and install Samsung Smart Switch™ on your Samsung Galaxy phone. Step 3. Choose Import from iCloud and fill out your Apple ID and pasword. Then, tap Let's start the transfer. Step 4. Select your wanted apps and install from Google Play. Step 1. Get your iPhone connected with a USB cable. Open iTunes and use it to backup your iPhone. Step 3. Run Samsung Smart Switch™ and select your iPhone and choose the content you want to transfer. Then, click Start Transfer. Hi, Edward, our product team has read the log. It seems that the MobileTrans you're using is not the latest one. Thus, could you please upgrade MobileTrans to the latest version? Besides, please tap Contact app on your Sony phone and tap the icon next to the main button to show the menu list. Then, tap "Settings" and check whether you have ticked "Only contacts with phone". If yes, please uncheck it. My deice is Sony Xperia Z1. And I have mailed you the log file. And one more thing, if I connect my phone to PC through Sony companion and sync contacts in it, I have all my contacts. That means contacts are there in my phone but not visible in the contact list. Same here.... The process is successful, but can't see a single contact in address book. Also, in logs, I can see the contact names. 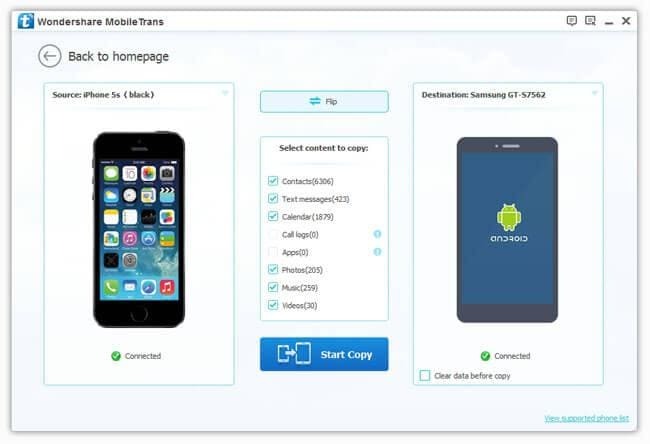 Could you please upgrade MobileTrans to the newest version and click Flip to transfer contacts from Xperia Z1 to the other phone? If the contacts appear on the other phone, I'm afraid that there may be something wrong with the Contact app on your XPERIA Z1. Hi yes, same here, no contacts on my Xperia Z1, it says contacts transferred but i can't find them anywhere. ozzy, you know, Note 3 has USB 3.0 cable and USB 2.0 cable. 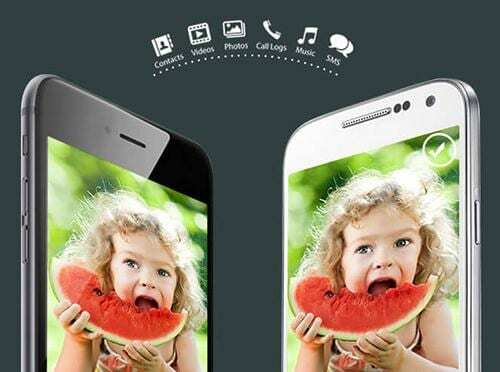 At present, there's a minor problem of compatibility when connecting Note 3 with USB 3.0. Thus, please try to connect your Note 3 to computer with the connector of USB 2.0. It works. trying to copy my contacts from my i4 to my new SS note3 but the latter fails to connect. what am I doing wrong? Jos, at present, the Wondershare MobileTrans supports iPhone 3GS running iOS 5 and iOS 6, please check out the iOS of your iPhone 3GS. It doesn't find my Iphone 3Gs, kees telling that is can't make a connection. It finds my Galaxy though. What to do? Samsung Kies Download: Any Version You Need!